The people of Thailand take great pride in their country, for it is the only nation in Southeast Asia that was never under colonial rule. Because of that, it was able to develop in ways that are distinctively Thai. But look closer and you will see hints of foreign cultures which may appear subtle at first. Buddhism is the main religion in Thailand, yet elements of Hindu beliefs are present in wats (temples) all over the country. Some of the most popular Thai dishes are adaptations of food from India and China. And even the people show remarkable differences in terms of skin tone, facial features and other characteristics. But virtually all of them identify themselves as Thais. Their sense of belonging to this country can be as much cultural as linguistic or political. Indeed, the core of “Thainess” is multifaceted and sometimes difficult to discern as an outsider. Moreover, it is part of a larger context. While the concept of the Thai nation originates in the early 20th century, the underlying components have come into being over many centuries. In order to understand what it means to be Thai, we therefore need to look at the history of Thailand. The precise starting point of the Thai people is often subject of fierce discussion. One hypothesis claims their origin to be in southwestern China, while others have put forward an Austronesian identity. The currently most accepted theory is that the Tais – who are thought to be the ancestral ethnic group of the Thai people – migrated into mainland Southeast Asia from southern China. Going along with this idea, they seem to have entered into what is now Vietnam before spreading into Laos and northern Thailand. This southwestward migration is thought to have occurred over many centuries in the first millennium AD in response to the expansionist drives of China and Vietnam. It is safe to say, however, that the Tais were only one of many groups to settle in modern-day Thailand. The region has a long history of human occupation, which for the greater part remains untold. Written sources from the time prior to the arrival of the Tais are scarce. As a result, our knowledge of early Thai history relies essentially on archaeological information. Homo erectus fossils of Lampang Man (named after his discovery in Lampang Province) date from 500,000 to 1,000,000 years ago. Cave paintings and stone tools, which have been found at various sites, also point to the existence of hunter-gatherers in the early days of Thailand. Furthermore, we have discovered highly sophisticated bronze artefacts and pottery in the village of Ban Chiang in Udon Thani Province. Now preserved at the Suan Pakkad Palace in Bangkok, they are the oldest evidence to date of an ancient society in this country. The prehistoric Ban Chiang settlements centered on rice cultivation and show signs of a complex social development and technological advancement. They also seem to have traded with distant communities. The culture lasted from the Neolithic to the Iron Ages (ca. 3600-250 BC), after which we lose track of the Ban Chiang people. Is it possible that the Thais descended from this ancient civilization and subsequently spread to other regions (including China)? It would be tempting to claim a historical continuity from an indigenous origin. However, current research remains inconclusive about the ethnic make-up of the original Ban Chiang inhabitants. Before the Tais arrived in what would eventually become Thailand, the region was (and still is) home to different ethnic groups, including Mon and Khmer. Some of them established powerful kingdoms which ruled over great parts of the Indochina peninsula. Through contact with people from South Asia, they were heavily influenced by the social model, the culture and the religions of India. This would, in turn, shape the identity of the Tai newcomers. The earliest known example of an Indianized state in Southeast Asia is Funan. Emerging around the 1st century AD, it was centered in the Mekong Delta and stretched over a vast area from today’s southern Vietnam to the northern Malay Peninsula. Written information about the Funan people has survived through Chinese historical records, but their linguistic and ethnic identity still remains a mystery. We also cannot say with certainty whether Funan was a single political entity or a loose network of city-states. Nevertheless, what the Chinese documents tell us, and what has been gleaned from archaeological finds, is that Funan was a powerful trading state. Excavations in Oc-Eo, an ancient Funan entrepôt in southern Vietnam, have revealed goods from India, China and even the Roman Empire. Moreover, the Funan polity seems to have controlled the Kra Isthmus in what is now southern Thailand. During the Funan period, this region was an important stopover in the sea trade between India and China. By the 6th century, long before we have any proof of Tais living in Southeast Asia, Funan was absorbed by the Chenla, a forerunner of Angkorean Cambodia. 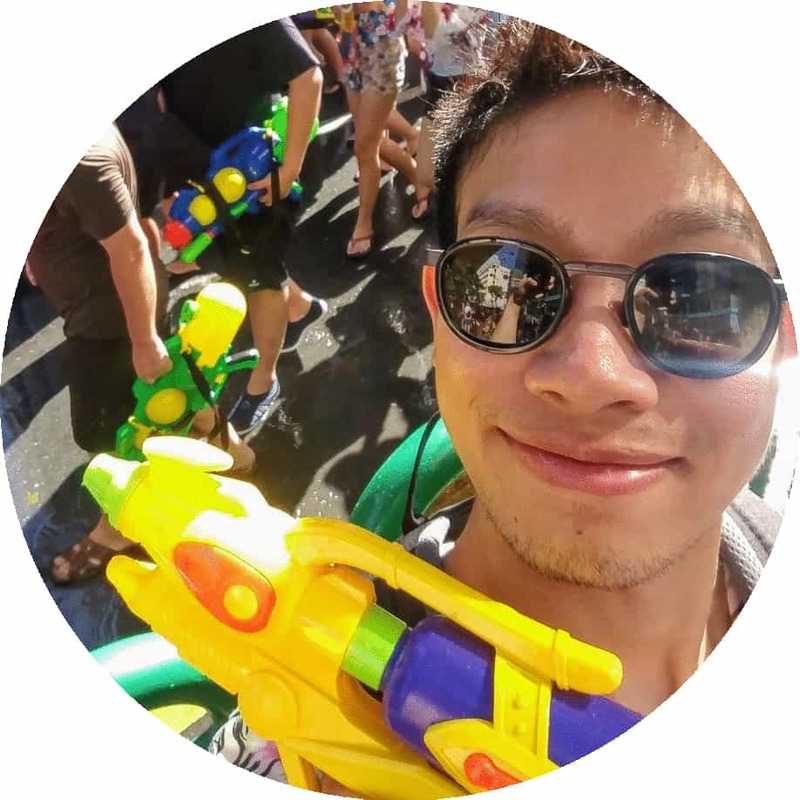 The very factor that seems to have sustained Funan’s prominence – its engagement in international commerce – may have led to its downfall as trading routes shifted to areas not within the Funan command. But let’s remember the importance of Funan as a relay point of Indian culture in Southeast Asia. Whether the process of Indianization was indispensable or just a supporting factor to the rise of local kingdoms, it would influence subsequent states that were part of the Thai world. The Mon culture known as Dvaravati flourished from around the 6th to the 9th centuries AD. It was centered in the lower Chao Phraya River valley and may have emerged as a result of (or as a contributor to) the Funan decline. The ancient Mon people were devout Buddhists, which sets them apart from other contemporary ethnic groups, such as the Khmer. This may have been due to the cultural influence of Ashoka’s kingdom in India (3rd century BC) or the work of missionaries from Ceylon (modern Sri Lanka) much later. Remains of Dvaravati art are deeply concerned with the Buddhist religion and include sculptures of the Buddha and dharmachakras. While it’s possible to map the geographic extent of Dvaravati, reaching into the northeast region of Isaan (and probably further into the Vientiane Province of Laos) and as far as Pattani near the Malaysian border, we know very little about its political and social organization. It may have been a collection of small independent principalities rather than a full-fledged kingdom. At any rate, the Dvaravati people seem to have submitted to Khmer expansionism from the 11th century onward, and, ultimately, to the emerging Thais, who have assimilated the Mon practice of Theravada Buddhism. The Hariphunchai kingdom was another Mon civilization centered in what is now Lamphun in northern Thailand. 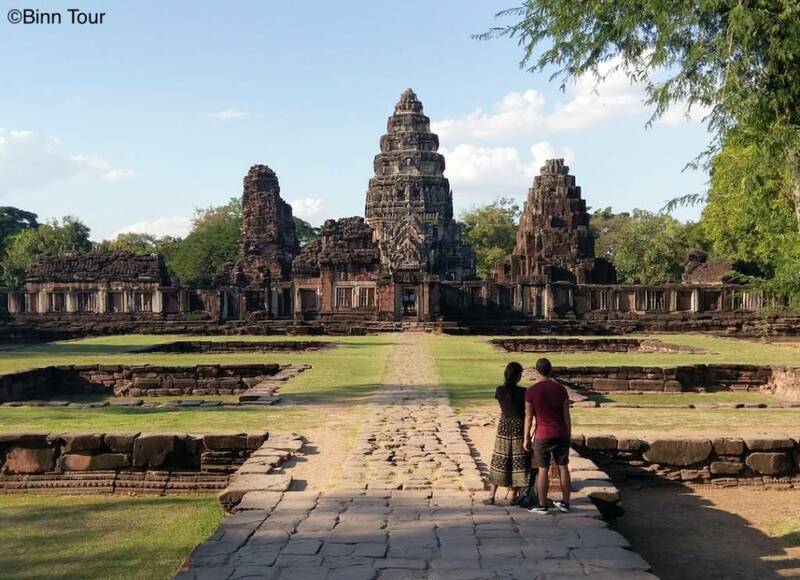 According to a legend, it was first ruled by an envoy from Lopburi, which is considered by some scholars to be the Dvaravati capital – if there was any at all. Ancient chronicles indicate the year 661 AD as the foundation year of Hariphunchai. If this is accurate, the lifespan of the northern Mon kingdom may have coincided with the arrival of the first Tai settlers in modern Chiang Saen. Hariphunchai could therefore be the first Indianized state that the Tais came in contact with and from whom they adopted Theravada Buddhism. As the Tais moved further south into the central plain of the Chao Phraya basin, they became increasingly subject to the Khmer. This ethnic group shares a common ancestry with the Mon and was also highly receptive of Indian culture in its early development. But in contrast to the Buddhist Mon culture, Hindu traditions seem to have taken stronger roots among the ancient Khmer. Precursor of modern Cambodia, the Khmer kingdom of Angkor was established in the 9th century AD and expanded its territory under King Suryavarman II (r. 1113-50) to include most of present-day Thailand. It exerted political power over this region through a significant number of government officials, soldiers and the placement of royal family members here and there. Nevertheless, the cultural implications of the Khmer Empire on the growing Tai population were even more striking. Many Sanskrit words inherited in the Khmer language entered the Tai lexicon during the Angkor hegemony and are still in use today. In addition, the Tais incorporated the Khmer architecture into their own style. This cultural symbiosis is evident in many of Thailand’s historic monuments. From this rather misty past, the Thai people emerge and begin to write their own history. Living on the fringes of powerful poly-ethnic states, they were initially quite unknown. 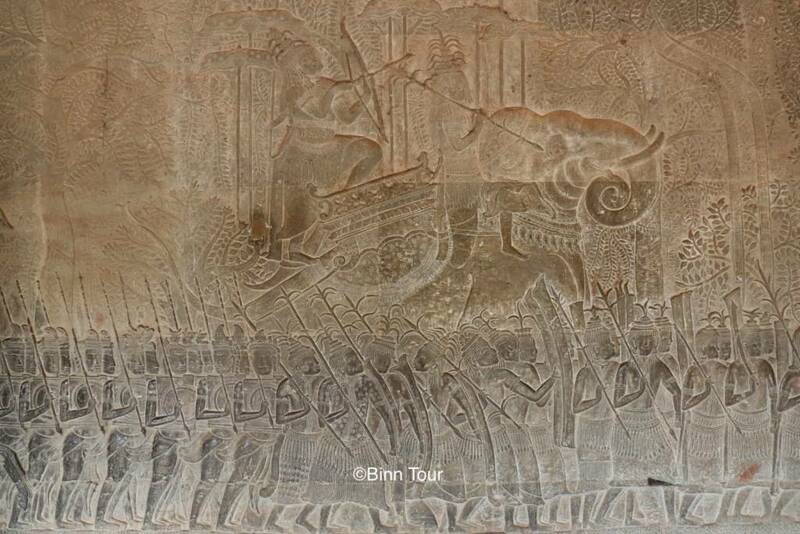 Wall reliefs at Angkor Wat from the 12th century AD appear to be one of the first historical records of their existence in modern-day Thailand and portray the syams (“dark brown people”) as mercenaries under the Khmer Empire. The story of the Thais really takes off when they emancipate themselves from Mon and Khmer supremacy. In 1238, two Tai chieftains declared independence from Khmer suzerainty and founded the state of Sukhothai in the upper Chao Phraya valley. Classic Thai historians regard it as the first truly independent Thai kingdom, and it is from this point onward that we speak of “Thais” rather than “Tais”. Although other Tai states emerged around the same time, it was the first attempt to unite the country under a Tai principality. Sukhothai’s third and most prominent monarch, King Ramkhamhaeng (r. 1280-98), offered help to anyone who would “put his own country under his protection”. He may have merely tried to distinguish himself from the oppressive leadership of Angkor. Even so, his diplomatic approach enabled him to build a kingdom of considerable size. Through a mixture of military conquest and allegiance from other Tai states, Ramkhamhaeng ruled over the Chao Phraya basin, the entire southern peninsula and the region to the east of present-day Thailand that used to be under the sway of the Khmer. Moreover, he formed strong ties with China and made Theravada Buddhism the state religion. Despite the short duration of the Sukhothai kingdom, it is often described as a golden age in the history of Thailand. It produced some of the finest and most unique forms of Thai art. King Ramkhamhaeng is credited with the invention of the Thai alphabet (though it remains quite similar to Old Khmer). As mentioned earlier, he also introduced a new kind of rulership – one that resembles a father looking after his children with kindness and justice. In case of a problem or dispute, the king’s subjects were able to “strike the bell” and seek his advice. Not long after the reign of King Ramkhamhaeng, the Sukhothai kingdom began to fall apart and lost power over its tributary states. Becoming itself a vassal of the rival state Ayutthaya in 1378, it was completely absorbed by the latter in 1438. We last left off with the history of northern Thailand when introducing the Mon Hariphunchai. This group likely played a key role in diffusing Theravada Buddhism among the first Tai immigrants. But connections between the new arrivals and the Hariphunchai people went beyond a mere cultural exchange. The Tai state of Ngoenyang in modern Chiang Saen fought many battles with Hariphunchai. The latter was eventually overthrown in 1281 by the successor of Ngoenyang – the Lanna kingdom. Its ruler, King Mangrai (r. 1259-1317), then went on to establish a new capital in Chiang Mai in 1296. It became a powerful Thai state and continued to expand after Sukhothai’s decline. The Lanna kingdom reached its zenith in the 15th century and hosted the 8th Buddhist World Council in 1477. Its territory extended over the northern principalities as well as into present-day Burma, western Laos and parts of southern China. However, the Lanna empire faced constant threats from its neighbors, including the Ayutthaya kingdom and the Burmese. It eventually became a tributary province of Burma under the Toungoo dynasty from 1558 to 1775. During this period, the city of Chiang Mai was frequently fought over between Ayutthaya and Burma, only to remain in Burmese hands. However, it was more or less able to maintain a culture of its own with Mon and Burmese influences. Even today the Lanna culture is quite distinct from Siamese or the dominant culture of Central Thailand. Most Thai people remember Ayutthaya and its tragic end from their history lessons. It was a powerful center in Southeast Asia, both politically and economically. In the official narrative of Thai history, the Ayutthaya kingdom is considered the direct inheritor of Sukhothai. 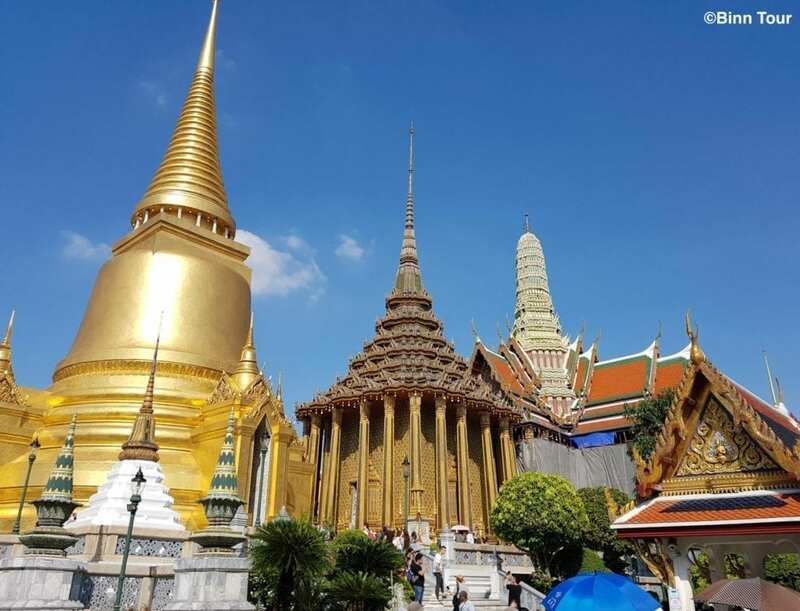 Founded in 1350 by U-Thong (r. 1351-69), who took the name of King Ramathibodi, the capital was filled with sublime golden temples the sight of which would leave first-time visitors in awe. In the early stages of Ayutthaya, the kingdom greatly expanded its territory. It took over other Thai principalities, including Sukhothai, but failed to conquer the northern kingdom of Lanna. It even defeated Angkor in 1431, subjugating the once mighty Khmer capital to its authority. The Ayutthaya period also saw the establishment of an absolute monarchy on the basis of a Brahmanical tradition, which was brought to Ayutthaya via the Khmer Empire. The kings of Ayutthaya took the title of devaraja (god-king), elevating themselves to the likes of Vishnu and Shiva. A special royal register, completely unintelligible to speakers of the common vernacular, came into practice to address the king, adding to his seemingly shrouded aura. For all its secrecy, it was a dramatic shift from the paternalistic yet approachable ruler as epitomized by King Ramkhamhaeng. Although Thailand is nowadays a constitutional monarchy, the almost divine veneration for its king has prevailed since the dawn of Ayutthaya. The kingdom of Ayutthaya, or “Siam” as it became known on the world map, established strong relations with many European countries, China and Japan. Among the Westerners, the Portuguese were the first to arrive in 1511, followed by the Dutch in 1605, the British in 1612 and the French in 1662. Commercial and diplomatic ties flourished under King Narai (r. 1656-88). But after his death, the foreign presence became a nuisance in the eyes of the traditional ruling elite. The Siamese kingdom thus adopted a closed-door policy, which would last until the reign of the first Chakri kings in the 19th century. This was, however, not a complete rejection of the wider world as international trade, though significantly limited, appears to have continued. Meanwhile, Ayutthaya was constantly at war with neighboring states. Once again, the Burmese were the greatest foe. In 1569, the Burmese army captured the city of Ayutthaya until they were driven out by King Naresuan in the Battle of Nong Sarai (1592). Siam entered a new period of relative peace and prosperity until the encroachment of another Burmese attack in 1767. This time, the Siamese capital suffered a total destruction, culminating in the end of the Ayutthaya period. The Burmese victory would not last very long. Siam made a quick recovery under General Taksin, a Chinese descent, who led a resistance force and expelled the Burmese from Ayutthaya only 7 months after its fall. But for strategic reasons, he decided to abandon the city and moved the capital further down the Chao Phraya to Thonburi. Crowned King Taksin in 1768, he would spent a significant portion of his reign reuniting the Siamese kingdom while reinforcing its power in modern Cambodia and Laos. In 1775, he helped free the kingdom of Lanna from Burmese control. Lanna, now much reduced, subsequently became a vassal and loyal ally of Siam. It would remain fully autonomous until its official annexation to the Siamese kingdom in 1892. However, Taksin’s military success began to obscure his mind. Becoming obsessed with a spiritual quest for divine powers, he lost touch with reality and soon the support of his administration. He was eventually executed and replaced by one of his generals, Chao Phraya Chakri, in 1782. During the reign of Rama I (r. 1782-1809), the Siamese kingdom consisted of the Shan territories of present-day Burma, Laos, Cambodia and the northern states of the Malay Peninsula. The successors of Rama I continued his efforts to restore the cultural splendor of Ayutthaya. They added to the Grand Palace and built many new temples in Bangkok. One of the most visible contributions of Rama II (r. 1809-24) was to elevate the central prang (tower) of Wat Arun to its current height. Under the reign of Rama III (r. 1824-51), the biggest temple in Bangkok, Wat Pho, underwent a major renovation and became an open learning center. 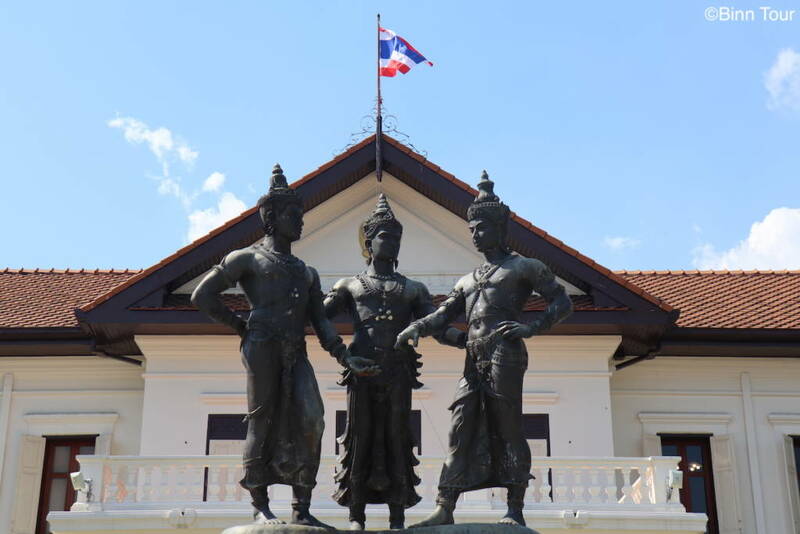 The second and third Chakri kings also re-established contact with the West, thereby putting an end to Siam’s anti-foreign sentiment since after the reign of King Narai. But it was not until Rama IV that international relations really started to speed up again. Commencing with the reign of Rama IV (r. 1851-68), Siam underwent major reforms and measures to modernize the country. Better known as King Mongkut, Rama IV introduced social reforms that targeted women’s and children’s rights. He also created the first main road in Bangkok, which is known today as Charoen Krung Road. His son, King Chulalongkorn or Rama V (r. 1868-1910), abolished slavery and improved the administration by forming a government of ministries along Western lines. He established European-style schools, the first railroad and the country’s first post and telegraph services. His successor, King Vajiravudh (Rama VI), in turn, introduced educational reforms, including primary school education, and the country’s first university along with surnames and football. King Vajiravudh (r. 1910-25) is further known as the founding father of Thai nationalism based on the three principles of pramahakasat (monarchy), sat (religion) and chaat (nation). By the time of King Vajiravudh’s reign, these were well established institutions within the Thai society. However, their equal role in forming a national identity was a new concept for the Siamese. It would become the foundation of Thailand’s nation-building under Field Marshal Phibun around the 1940s. The perhaps greatest achievement under the Chakri rule was to preserve the country’s independence in a time of colonial expansionism. By the 19th century, almost all of Southeast Asia was under the political sphere of some European power. As the only nation in Southeast Asia, Siam managed to fend off foreign rule (unless we take into account the Japanese invasion during World War II). This was because the French and the British decided to have a buffer zone between their dominions in eastern Indochina, Burma and Malaya to avoid conflict. But it was also thanks to King Mongkut’s and King Chulalongkorn’s modern and diplomatic approach. Instead of isolating the Siamese kingdom, they negotiated with the Western powers and adopted reforms to strengthen the country’s position in Southeast Asia. The Chakri kings suffered humiliation along the process by giving in to trade concessions and extraterritorial demands. Siam had to cede its territories in Cambodia and Laos to France and its claims in Burma and the northern Malay Peninsula to Britain. The cultural loss was tremendous. But given Siam’s independence, it was a cost worth taking. In the early decades of the 20th century, an increasing number of Thais from wealthy families were educated abroad. They returned with a more enlightened vision about how their country should be governed. As their ideas spread in important circles, they became the mastermind of a movement that would bring about the end of absolutism in Siam. In a nonviolent coup d’état in 1932, Rama VII (r. 1925-35) was stripped of his executive powers and the country adopted a constitutional regime along British lines. While the king’s office remained, the highest power would now “belong to the people”, as laid out in the nation’s first codified constitution. However, how this would work out in practice has been the subject of much of Thailand’s modern history. Following an unsuccessful rebellion and a rejection of his demands for more political rights, Rama VII abdicated in 1935 and was succeeded by his 9-year-old nephew, King Ananda Mahidol or Rama VIII (r. 1935-46), who was living in Switzerland. In the absence of Rama VIII, the Siamese government was led by Prime Minister Plaek Phibunsongkhram (or Phibun), who rose to prominence as a military commander. As a promoter of progressivism, he passed a series of cultural mandates aimed to civilize the Thai people. For instance, he encouraged the Thais to adopt an international way of dressing, as opposed to the traditional attire. Moreover, building on King Vajiravudh’s concept of the Thai nation, Phibun sought to enforce a patriotic commitment and identity among the Thai population. In 1939, he changed the country’s name from Siam to “Prathet Thai” (land of the free) or, in English, “Thailand”. From now on, all Thai people had to refer to each other as Thai regardless of minority groups and ethnic subdivisions. Every Thai citizen also had to use the Thai language instead of regional dialects and honor the royal and national anthems whenever they were heard. Obviously, many of Phibun’s cultural decrees still continue to matter in contemporary Thai society. During World War II, the nationalist-minded Phibun administration aligned itself with the Axis powers. Indeed, it saw an opportunity in France’s defeat to the Germans to reclaim lost territories under the tenure of King Chulalongkorn. In 1941, Thai military forces launched attacks on French colonies in Indochina. The Empire of Japan eventually stepped in, ending the Franco-Thai War in favor of Thailand, who regained some of its previous claims in Cambodia and Laos. Thereafter, the Thai government declared neutrality. But on December 8, 1941, the Japanese invaded the southern region of Thailand, shortly after their attack on Pearl Harbor. They sought to use Thailand as a military base for their interventions in Burma and Malaya. The Thai government quickly consented to their demand. Turning crisis into opportunity, Phibun entered a military alliance with Japan and declared war on Britain and the US on January 25, 1942. During the same year, Thailand regained some of its control in Burma. Meanwhile, Thailand’s ambassador to the US, Seni Pramoj, refused to deliver the declaration of war. He argued that the Thai government was under the control of Japan and thus effectively prevented an American retaliation against Thailand. Aided by the US, Seni organized an underground guerilla force, the Seri Thai, to counteract the Japanese invasion. Public opinion shifted against Phibun as the Allies neared victory and the National Assembly forced him out of office. At the end of World War II, Thailand had to return its territorial gains, including those from the Franco-Thai War. However, it was able to evade harsher and more punitive demands and joined the United Nations in 1946. In the immediate post-war period, Thailand saw the establishment of a civilian government. However, it was short-lived and fell apart due to rumors that the prime minister had been involved in the mysterious death of King Ananda Mahidol. Seizing a new opportunity, the army orchestrated a coup in 1947 and re-established Phibun as prime minister. The second term of Phibun introduced a series of military governments in the post-war period, which coincided with the rise of communist regimes in Korea and Vietnam. Thailand participated in the Korean War as part of a UN multinational force. As a strong ally of the US, it also became involved in the fight against Vietnamese communists and allowed American troops to use its airbases. As a consequence, the Vietnamese assisted communist guerilla forces within Thailand, which operated until the 1980s. Apart from strengthening Thai-US relations, the Vietnam War brought significant socioeconomic changes to Thailand. 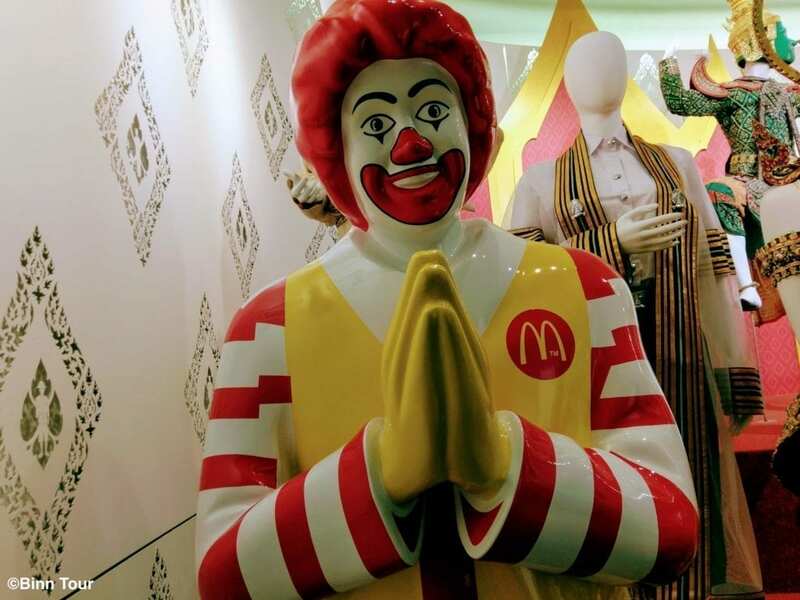 With the American presence, exposure to Western culture transformed almost every aspect of Thai society. Moreover, Thailand received massive aid from the US, which led to a boom in its business sector, infrastructure, and construction industry. A Thai middle class began to emerge. More and more Thais from rural areas would try their luck in the big city – above all, in Bangkok. As living standards rose, so did the population. The number of inhabitants almost doubled between the 1960s and the end of the 20th century. But the foreign influence was also a contributing factor to the rise of prostitution and drug abuse. Furthermore, the rapid economic growth, which was mostly an urban phenomenon, led to greater discontentment among the rural population. Villagers, as opposed to townspeople, often remained poor and felt excluded by the Thai administration. The divide between rural and urban development and the perceived lack of support have led to violent clashes between peasants and the centralized government in the past and continue to be a pressing problem. From 1947 to 1973, Thailand’s political scene was dominated by military regimes, who would rule with suppressive authority. This was especially true after a coup in 1971 that led to the suspension of a parliamentary democracy. Fed up with military dictatorship, thousands of Bangkok students took to the streets on October 13, 1973. The protests, which called for a new constitution and government, were crushed down by the police, resulting in the deaths of at least 70 civilians. Following the highly controversial event, King Bhumibol Adulyadej (Rama IX) ordered the army leaders to resign while also criticizing the role of the students. A new period of democracy was ushered in. However, the following two decades were marked by a succession of different governments and military coups. The civilian administration that came to power after the protests was to be overturned, once again, by a military junta in 1976 (…). Thereafter, violent clashes between civilians and the military reached a new climax in “Bloody May” 1992, following the appointment of General Suchinda Kraprayun as prime minister without previous elections. After three days of brutal riots, involving more than 200,000 civilians, King Bhumibol Adulyadej intervened and prevented further escalation. In a famous television broadcast, he summoned both the government and demonstration leaders and demanded a peaceful resolution. Almost immediately, the protests stopped and the military government resigned. King Bhumibol Adulyadej was born in Cambridge, Massachusetts, and was the longest reigning monarch in Thailand. He acceded to the throne after the shooting of his older brother in 1946 and reigned until October 13, 2016. His passing caused massive grief among the Thai population, who had followed news of his failing health with grave concern. He was a highly revered king and father figure, who displayed a constant preoccupation for the common good of his people. He initiated many projects to improve their living conditions and promote self-sufficiency. 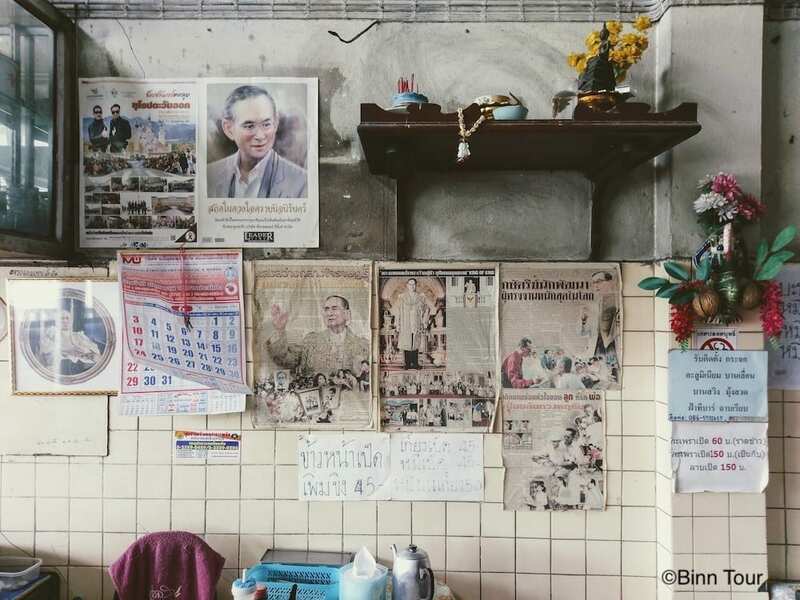 Framed pictures of King Bhumibol can be found in almost every Thai home. He fulfilled a ceremonial position, yet his immense popularity bestowed him with extraordinary political influence. Given his role as an arbitrator in the turmoil of 1973 and 1992, Bhumibol was a symbol of moral authority and national unity. The 9th Chakri king is succeeded by his son, King Vajiralongkorn (Rama X). The 1992 protests resulted in new elections by which a civilian government returned to force. The onset of the Asian financial crisis in 1997 and its aftermath would pose a heavy burden to subsequent administrations. However, for the first time, the Thai people were observing a relatively stable and functioning democracy. Despite a long series of different governments between 1992 and 2006, the transition from one to the other proceeded without the traditional military “interlude”. The general elections in 2001 brought entrepreneurial giant Thaksin Shinawatra to the office of prime minister. Through a populist social program, his Thai Rak Thai Party (Thais Love Thais Party) amassed huge support among the rural population. However, Taksin’s popularity was tainted by allegations of illegal vote-buying and a controversial anti-drug campaign, in which more than 2000 people were killed. Furthermore, his leadership was seen as a potential threat to traditional ruling institutions, including the monarchy. Anti-Taksin supporters displayed allegiance to King Bhumibol by adopting the yellow color, which is the color of the king’s day of birth. When Taksin traveled abroad, a military coup eventually seized power in 2006 and dissolved the Thai Rak Thai Party. But Taksin supporters, who adopted the red color, soon organized themselves under the People’s Power Party (PPP). The PPP won the next general elections in December 2007 with the subsequent return of Taksin. But when faced with corruption charges, Taksin left the country and has remained in self-imposed exile ever since. The following years were a turbulent chapter in the modern history of Thailand. In 2008, the Yellow Shirts invaded the government house and seized Bangkok’s international airport, causing severe disruption for many travelers. Eventually, Thailand’s Constitutional Court dissolved the PPP on the grounds of election fraud. A new government was formed under Democrat Party leader Abhisit Vejjajiva. In retaliation, Taksin supporters disrupted the ASEAN summit in Pattaya in 2009, further aggravating Thailand’s reputation abroad. In 2010, thousands of Red Shirts occupied parts of Bangkok, in particular its commercial and business districts. Buildings were set under fire, dozens of civilians killed and many more injured in clashes with the military. Despite the bloodshed, a new facade of Taksin, the Pheu Thai Party (For Thais Party), won a landslide election in 2011. Becoming the country’s first female prime minister, Taksin’s sister Yinluck, whom many considered to a puppet of the ousted ex-prime minister, called for amendments in the constitution that would allow amnesty for post-coup events. This was largely seen as an attempt to free Taksin of his charges. Protests thus resumed in 2013 and prompted the dissolution of parliament. New elections were scheduled for February 2014. But meanwhile, the Constitutional Court ruled that Yinluck had abused of her power as a high ranking official. Subsequently, the army imposed martial law and dissolved the government. In August 2014, the National Assembly elected General Prayut Chan-o-cha as prime minister. A new constitution was voted in 2016 and anchors the military’s power in Thai politics. After several postponements, the first elections since the 2014 coup were held in March 2019. The history of Thailand proper spans over more than 7 centuries, beginning with the foundation of its first kingdom in Sukhothai. It is a complex story and has produced a society with an immense cultural diversity and heritage. The Thai people are only one of many (immigrants?) who have left their footprints in this country. While we cannot pinpoint their exact origin, they are very much the product of past encounters with other people. As the Thais settled in Southeast Asia, they incorporated the cultures and customs of various civilizations. Establishing their own states, which turned into full-fledged kingdoms, they have emerged as the dominant force in the region. Nevertheless, foreign influences in the modern era continue to shape their identity. Since the revolution of 1932, the Thai nation struggles to establish a full and stable democracy. There have been no less than 20 constitutions and charters (!). While all of them call for a constitutional monarchy, the degree to which Thailand’s political institutions hold power has varied from one constitution to another. Each one only seems to facilitate the rule of whichever government is in power. Nevertheless, a pronounced characteristic of the Thai people remains in their openness to other cultures. To be Thai under nationalist policies means to adhere to the Thai monarchy, to Buddhism (though Thailand does not have an official religion) and to the Thai nation. But if Thai society is based on these elements, the fundamentals have evolved over time and are the result of cultural assimilation. Indeed, Thainess at its core may best be understood as the ability to absorb foreign influences and to make something out of it that is uniquely Thai.